Looking To Buy & Sell? If you’re looking for proof that Australia’s housing market is truly outrageous, this is it. We’ve crunched the numbers to determine the annual salary needed to purchase the median-priced home in each of Australia’s capital cities, as well as in several inner city suburbs. The results may surprise you. Our research suggests homebuyers need an annual salary of $73,500 to buy the median-priced home in Australia. That’s in line with Australian Bureau of Statistics data that shows the average Australian earns just under $80,000 each year, though this figure is heavily skewed by a small number of high income earners. While the national median house price and the average Australian annual earnings seem to add up, there’s a problem. The national median house price does not accurately reflect how much it costs to buy in some of Australia’s most in-demand locations. As you can see from the map below, the annual salary needed to purchase a median-priced home varies from city to city. The map shows, for example, that the average homebuyer has been all but pushed out of Sydney’s property market. How many individuals do you know who earn more than $106,000 per year? What the map doesn’t show is that median house prices can also differ greatly between neighbouring suburbs. Before we dissect the findings in detail, it might be useful to explain how we came up with the numbers. We then researched median capital city and suburb house prices using Core Logic and realestate.com.au data, and used an online borrowing calculator to determine how much a buyer would need to borrow to purchase the median-priced home in each location. This sum was adjusted to reflect the assumptions outlined above. Hobart, Adelaide, Brisbane and Perth are the most affordable Australian capital cities for homebuyers. 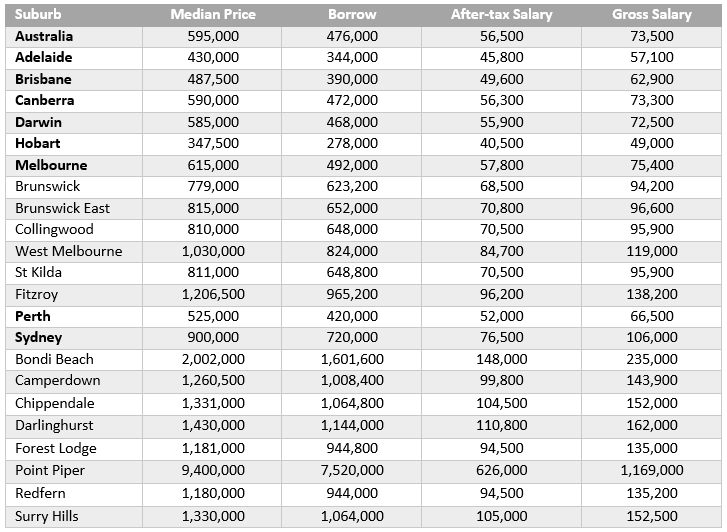 To purchase the median-priced homes in these cities, homebuyers need an annual salary of less than $66,500. 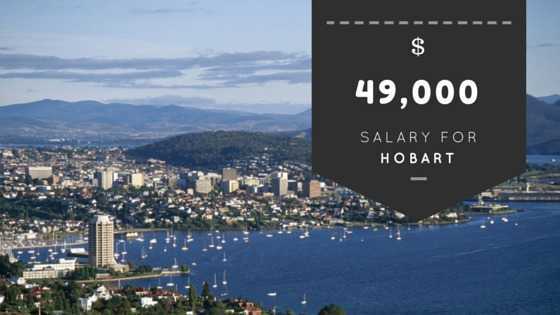 If you’re interested in moving across the Bass Strait and buying the median-priced home in Hobart, you’ll need an average annual salary of just $49,000. Unfortunately, not all Australian capital cities are as affordable as Hobart. 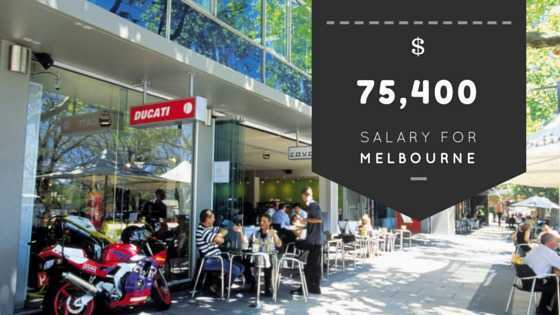 As you might expect, Canberra and Melbourne are at the higher end of the scale, with median-priced homes in these cities requiring annual salaries of $73,300 and $75,400 respectively. Darwin, propelled by large-scale mining and infrastructure projects, isn’t far behind. Homebuyers need an annual salary of $72,500 to buy in Australia’s most northern city. With houses regularly selling for over $1 million, it will surprise few that Sydney has some of the least affordable homes in the country. 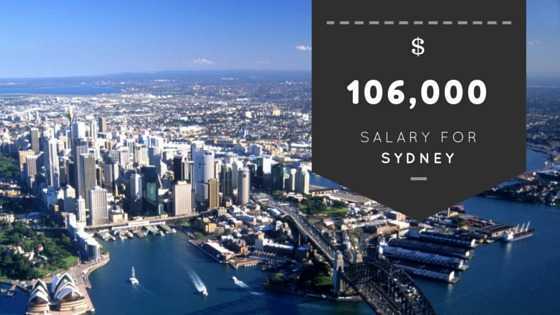 Homebuyers need to earn at least $106,000 to afford Sydney’s median priced home – and a lot more if they want to buy in more prestigious suburbs. You already need a six-figure salary to afford the median-priced home in Sydney. But if you thought that was out of reach for most Australians, wait until you hear how much it costs to buy in the inner city. Melbourne homebuyers need to be in the second-highest tax bracket or above (earning at least $138,200 per year) to afford the median-priced home in inner city suburbs like Fitzroy. In Sydney, homebuyers need an annual salary of $235,000, or over three times the average annual Australian wage, to afford to buy the median-priced home in Bondi Beach. Prospective homeowners need an annual salary of $1,169,000 – over fifteen times the average salary – to afford the median-priced home in Point Piper. To put that into perspective, fewer than 0.1 per cent of Australians make more than $1,169,000 per year. In fact, someone at the lower end of Australia’s top 0.1 per cent earns just $600,625. That’s over $550,000 short of what’s required to afford for the median-priced Point Piper home. “Point Piper” is licenced under the Creative Commons Attribution 2.5 Generic license. 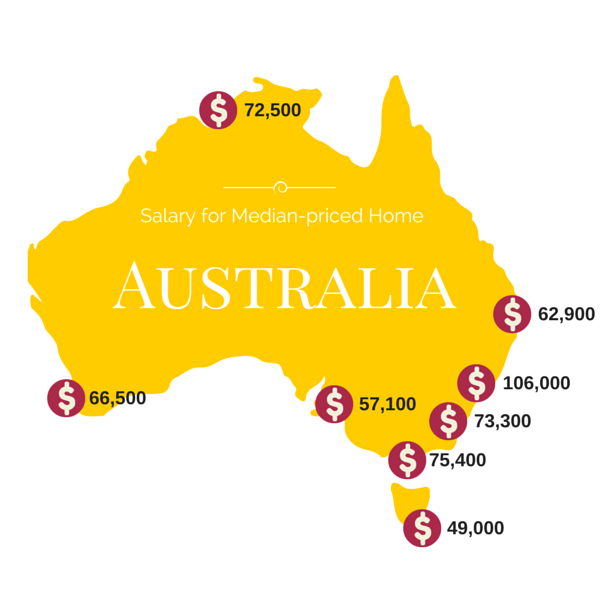 Nationally, homebuyers need to earn an annual salary of at least $73,500 to afford the median-priced Australian home. Sydney remains the most unaffordable city for the majority of Australians. 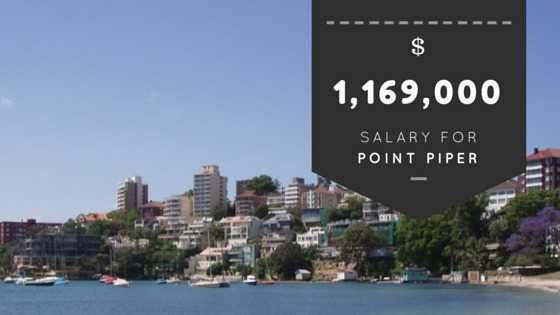 To buy the median-priced home in Point Piper, for example, a homebuyer needs to earn upwards of $1,169,000 per year. Melbourne is far more affordable than Sydney, with an annual salary of $75,400 required to purchase the median-priced home. However, buying in an inner city suburb such as Fitzroy requires almost double the salary ($138,200). Compared to Hobart, Sydney homebuyers need to earn over $55,000 more per year to afford a median-priced home. Want to know how much your home is worth? Receive a FREE property valuation worth $50 when you sign up to receive Which Real Estate Agent’s complimentary agent report. Get your free report and property valuation today.